Two years ago, Leila lost her mother to breast cancer. Her “The Power of Pink” art installation, is a way of building on her experience in a creative way, while raising awareness about breast cancer in the UAE. This episode is about: Growing up as an Emirati woman / The colour pink throughout a woman’s life / Barbie in the UAE / The Pink Ribbon / Leila’s mother and father and how they met / Mother-daughter relationships / Making last moments count / Breast cancer / Femininity / Pop-art mixing international icons and traditional Emirati features. Two years after the loss of her mother, Dubai artist and entrepreneur Leila al Marashi, 35, decided to build on a painful experience in a creative way with The Power of Pink project, an art installation focused on the colour pink, dedicated to raising awareness about breast cancer in the UAE. 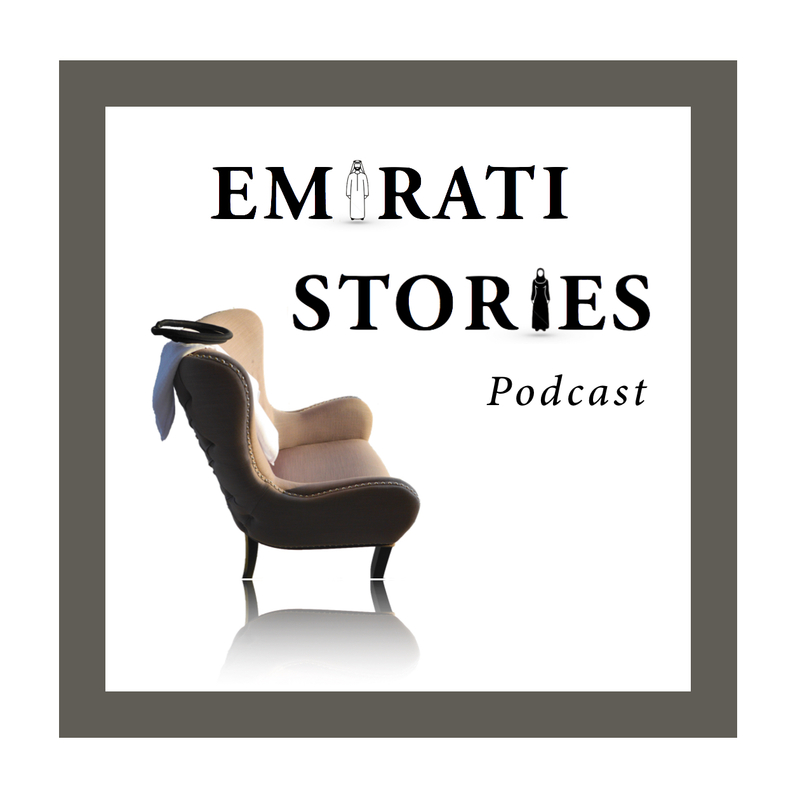 In this episode, Leila speaks about pink in the life of an Emirati girl, teenager and later grown-up woman. She tells the story of her mother and her father, of how they met, explains what is behind the pop-art pictures that she created a few years ago to “make East meet West”, her fashion design business and her experience of different corporate cultures in Dubai and Abu Dhabi. Nathalie Gillet: What exactly is the Power of Pink project? And what did you want to say with it? Leila al Marashi: The Power of pink is personal initiative that I wanted to take on. About a year and a half ago the colour pink got me thinking a lot and started touching on very important subjects of my life. I wanted to communicate that in a structured way to an audience, through an art installation in the shape of a bedroom that was an interactive timeline where each wall in the room would be telling a story of a decade of my life, but in a macro level – i.e your life as well as a woman. In your childhood you’re very much in this bubble. So the first wall of the project is dedicated to this childhood, with relation to how a girl looks at life and how it’s all a fairy tale. So I love this wall because it’s full of hopes and dreams. And you don’t know what’s going to happen after. You have no idea whether you’re good looking, what family you come from, what you belong to and don’t belong to, what your values are. And your mother is your world. My mother was for me a huge important power figure when I was a child: she was very glamorous and beautiful, and she had all these friends. I would just listen to everything she said. The 2nd wall features the 2nd decade of my life, which meant going through puberty and becoming a woman. Or I like to call this wall the glory years, your prime. If you look at sanitary napkins for puberty, they are all pink. You’re most likely to have had your first pink bra. And this is the age when you are quite confused because you’re growing fast physically but your brain is still that of a young girl and you’re trying to catch up with the world, to understand if you’re good looking or not, how you’re doing in school, how you are benchmarked against your peers. You have more than one teacher now. It’s not your mom that’s your world anymore. It’s more your friends. And you buy all these trendy little products, lip glosses and whatever you’re allowed to get away with. I was so fascinated with all this pop culture. Then you listen to boys bands and you’re growing up. You’re becoming a young lady. Here is also the time when people start giving you advice. So your parents start explaining to you that you need to become a lady and act ladylike, and you cannot be as rebellious as you were as a child. You need to follow a certain protocol. I had to start to cover up and wear the Sheila, and maybe do less sports. It was a difficult adjustment to embrace that feminity that was coming in my way. And then you start making it into the corporate world. So you slowly shy away from the colour pink because you want people to take you more seriously. And you’ll come home to your pink mug and your pink slippers and your pink bathrobe… because you still feel an affiliation with the colour, even more you are a little more secret about it now. Yes but I wanted it to be lightly shared and I wanted it to be a build-up. For me the 3rd wall is the most intense wall of the project because it touches on a subject that a lot of people are experiencing in their lives and that’s breast cancer. When you are in your 30s or 40s you are most likely to experience breast cancer through someone you love or even through yourself. People don’t know why this is happening and have a lot of emotions and psychological trauma. I think it’s very important to create platforms or try to create open doors for people to be able to express what they are dealing with and know who to go to, what the treatments are, what it means to have breast cancer, how it impacts us. Two years ago I lost my mother to breast cancer. And I internalized it. I did not want to mope or mourn or make it a sad depressing experience, or complain to people. I didn’t want it to be heavy, and certainly not appear weak in front of my father and my siblings. So I wanted to make it a positive experience. It was not easy to put the project together, to frame the notes and messages from my mother. It was quite hard. But it was also very important to me. And I know this is something that would have made her very proud. It showcased a side of her I wanted to show the world, and celebrate, which was how positive and creative and courageous she was, going through the illness. Pink is the colour of love, it’s used a lot for everything a woman goes through. All the important milestones a woman experiences, pink is there in the background offering it’s support, whether you are wrapped in pink as a baby, whether you are gifted pink toys, whether you go through puberty to become a woman, whether you go through breast cancer. Yes. The Estée Lauder1 campaign in the 80s initially wanted it to be peach and then they chose pink because pink gives you hope. And I think it gives hope. I think my messages are hopeful messages. So this wall invites cancer partners to be involved – in this case it was Rahma, which is a cancer institute in Abu Dhabi that provides free care, free mammograms, free therapy and what they are doing is amazing. So The Power of Pink is a community project. I don’t feel it belongs to me solely. I feel this is something I want to give back to the universe because I went through a very profound experience and I felt it was important to share it in a positive way and give a positive message. If I were to sum up the message in one sentence, it would be: “When things get heavy put pink on it”. Was pink very present in your early life? Yes actually very present and that’s why I am making fun of myself too in a creative way. As a child growing up, I had an obsession with Barbies – even though I was a tomboy and always playing outdoors, getting bruises on my knees, it was interesting how attracted I was to pink items and toyshops. I would nag and beg my nanny and my mother and my family and anybody who had access to cash to get me a Barbie doll every week. So it was a big addiction on my side. Barbie, for me, was the epitome of what a woman had to be. I remember only finding blond women beautiful. Even my sister when she had a blond female friend at school, I would find her some sort of a golden goddess. It was very interesting how brainwashed I was by that and buy the marketing put into Barbie. I would play with Barbie and Ken and invite my friends to play with me. But they had to play in a right, correct way! “Barbie” from the outside seems at the very opposite of the Emirati world or values. How does a little girl reconcile both in her life? Would you sometimes try to dress her in an abaya for instance? No not at all. It was in the 80s and life in Dubai was quite liberal then. My parents were very liberal too. My mother wasn’t covered. When we would go to family parties, nobody was covered yet. It came later, in the 90s. I think the Arab culture was more liberal before a certain period. After the Gulf war, people got a little more conservative and religious. It was trending. I remember that once I reached puberty, that’s when I got introduced to the abaya. As a child I had no idea of what anyone was talking about.